Raised in West Africa, Yasmine immigrated to Canada where she obtained her fine arts degree and now lives and breathes silk-screen printing. 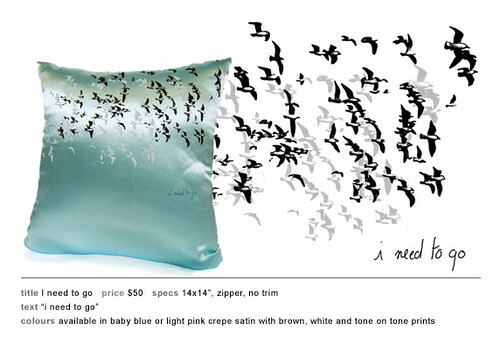 She creates a funky line of pillows, light boxes, clothing, napkins... 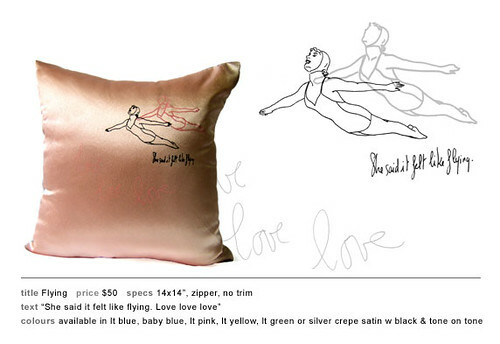 Her pillows are cute and witty. Kitschy images on satin. You'll love them. 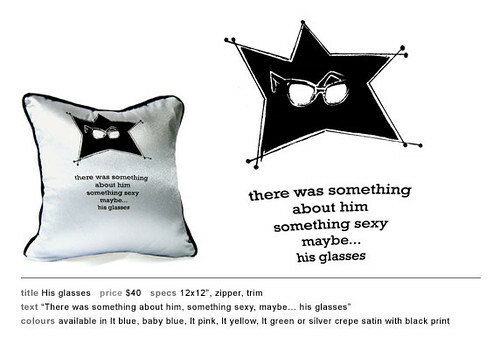 View her collection of sassy pillows here. 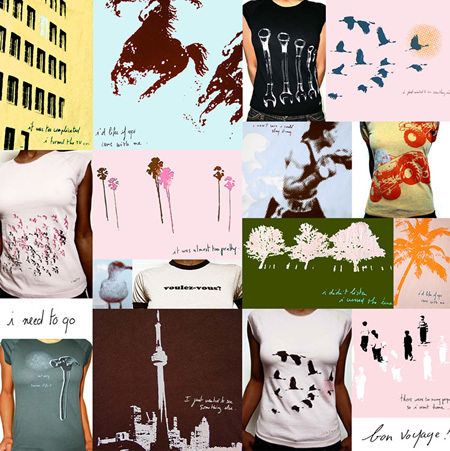 If you love t-shirts, take a peek at her line of exclusive printed shirts for men and women. psst: remember, the prices on her website are shown in CAD (Canadian dollars), so if you live in the US that means you can take about 25% off of that price to see what you'd pay in US dollars. You can email Yasmine to place an order.